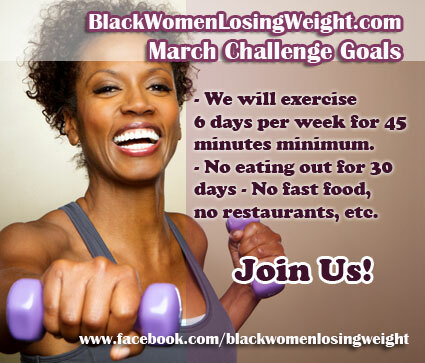 It’s check-in time for BWLW’s March Challenge. Please take the time to let us know how March 1-8 has gone for you. Post a status message on our online community. Post a blog post about your first week on the challenge on our online community. We want to know about your successes, your challenges and how your weight and health has been impacted. Poll: What should BWLW’s March Challenge Be? Pushed the walking up….failed on the exercises, but portion control is better. I have to set up my game, point blank! I just found your website today. I’m in for the March 2013 challenge. It saved me from going to a fast food restaurant today to get my breakfast. It sounds very doable to not eat fast food out of restaurants and 45 min exercise 6 days a week. I will start my 45 minute walks in the morning. Hi everyone im new to the BWLW, but i have not order out to any fast food resturants. im doing great i have loss 20 pounds so far and excersicing on regular! i feel Great… Lets keep it moving!